In today’s highly competitive business scenario, the best step for any company to extend their client base for any software service or product (that includes UI type software) is to develop mobile apps. Of course, there are a huge number of organizations, independent developers and companies that commit to this exercise. However, there are only a few of them who are actually aware of the necessary points to keep in purview when designing and launching a native mobile app. Platform – The most important factor to consider before starting to develop a mobile app is to know the platform on which the user would run it. Normally, Android is the most popular OS out there today with a huge number of mobile apps available on the Play Store. The key is to make the app easily available for download and also identifying a niche who could be the driving force for the app. More platforms imply more efforts and obviously more capital. Screen Size – Different handheld devices come in different sizes. Therefore, the design of your app needs to be perfectly optimized so as to run successfully on any type of mobile or handheld device. Clicking and navigation on a mobile device is comparatively harder than on a keyboard-based computer, so the design should be such that data entry alternatives can be easily available and usable. Screen Density – Different mobile devices have different dpi values and your mobile app should be able to run on those values. This cannot be ignored as it plays a big role on the aesthetics and appearance of your mobile app. Image and position settings are also controlled by this. Basically, your app’s position on the screen is determined by the screen density. Geographical Location – A mobile app developer must be aware of the geographical location of the app where he intends to sell it. The app is dependent on the language, UI and features on which your geographic region would be. The profile of the probable customers must also be clear, because the genre of your app greatly depends on the profile of your users. Security – It is stressed very firmly that your mobile app must be very secure. The mobile app must be protected by different security layers of access all data that is being sent through the Internet should be encrypted. If the app is specifically designed for a particular business, there should be full confidentiality amongst the files being exchanged. Performance Testing – The parameters of the apps that are going to be designed must be well-thought out in advance. The apps developer must ensure that it does undergo vigorous performance testing before releasing it for the end users. Monetization method – The developer of the mobile app development company must be aware of proper monetization strategies. Sometimes, a mobile app owner wishes to just keep it as a base and monetize the further releases. It should be remembered that a very low or very high price won’t be good and should conduct proper market research and competitor research before determining it. You can also consider releasing your mobile app via a design house but you can’t focus on credits in that case. Lookout for the best experts – If you consider yourself to be able enough mobile app developer then look no further and start building your favourite app now! In case you can’t, then there is no shame in getting expert help. But, be sure to have your mobile app created by an expert in mobile app development and not just any app developer. 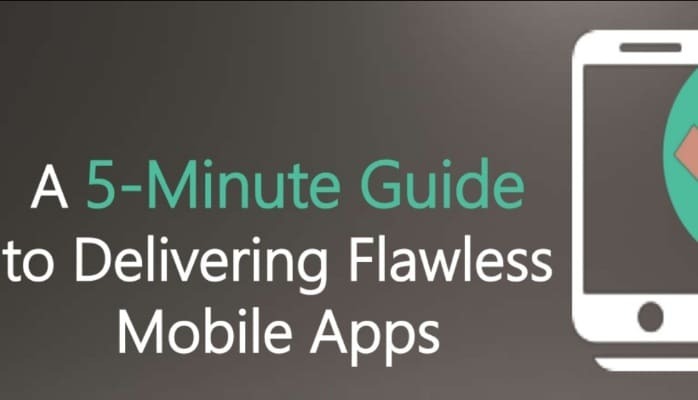 Ease of usage and functionality – You must be aware of the fact that having too many features could make your app complicated and thus slow down or not function entirely sometimes. This could result in users refraining from your app. Thus, it is advised to make your app with less features and greater functionality. Try to include some attractive features – The mobile app developers should be aware of the interests and tastes of their users and should include certain attractive features to maintain the interest of the user. Bring a higher ROI – In order to deliver a higher ROI, an app must be made in such a way that it appeals to both the existing customers and the prospective ones. The typical costs incurred in developing a mobile app include cost for updates and maintenance and these significantly affect a good ROI. Thus, the app developer must be aware of the costs. The use of native technology – Native technologies of development offer more instinctive and natural user experience (UX). App developers must utilize native tools and techniques to increase the chances of its success. The use of native technologies also makes an app more scalable and flexible and thus can be modified easily. As a conclusion, it can be said that an ideal app is a composition of all major factors that are required to satisfy a client fully. These are, maintaining device compatibility and screen resolution, proper UI, flawless integration with the device and a trustworthy monetization method. According to experts, developing an app is not difficult but developing a great app is. To actually release it in the market and getting your app to be used is what the real herculean task is. But, with some professional ethics and a lot of hard work you can overcome this major hurdle. Mozrif is an analytical and versatile digital marketing evangelist, Consultant, Content Writer, Website designer & developer and digital marketing consultancy. Focused on helping businesses -- from domestic to MNCs. He is also a national speaker at online marketing conferences. Now there is a new technology called ‘React Native framework’ that helps to design and develop a mobile app that works smoothly on both the platforms Android and iOS. I’m sure it’s going to replace all of the existing technologies or frameworks being used for developing a mobile app.